Most of you who have been following us on our social media platforms already know that we were part of this incredible campaign called - Made By You, by Converse, last week. 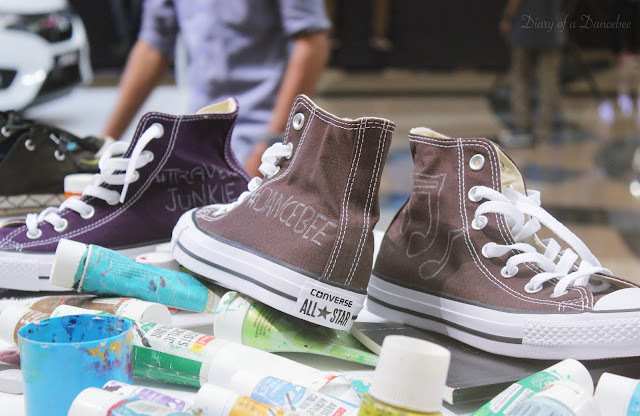 The sneaker head in me was super excited to view the exhibition, and also get my own pair of Converse chucks customised. 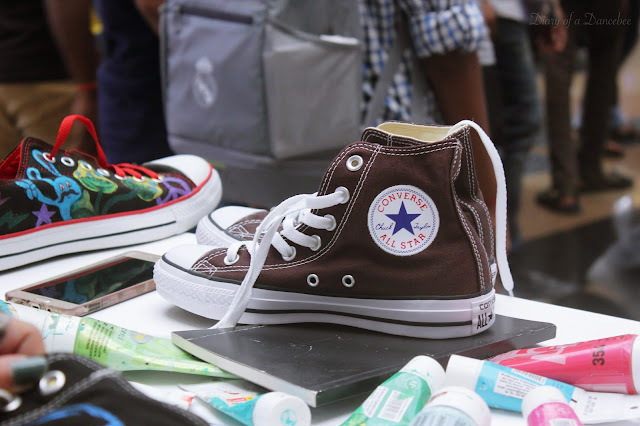 And so were several other fans of the legendary Chuck Taylor sneakers, who queued up at Infiniti Mall (Malad) on October 18, just to add a touch of their personality to their favourite pair. 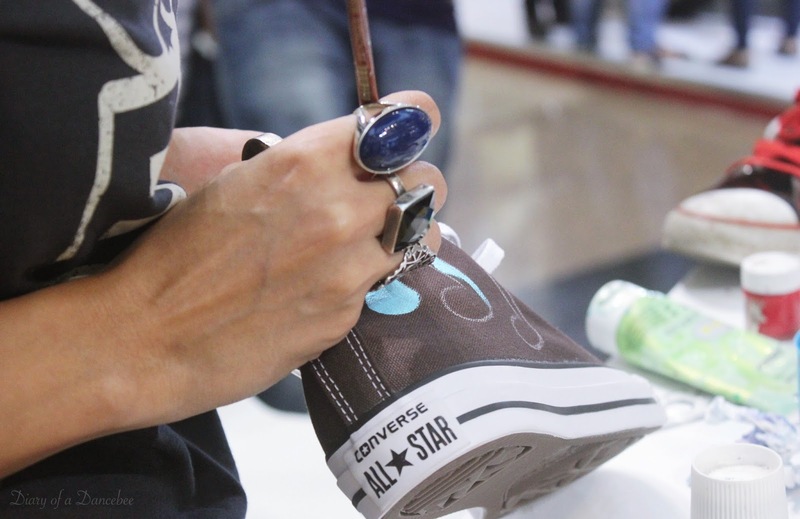 The day long event saw fans getting their old pair of chucks, and even buying a new pair from the Converse outlet inside the mall. Two talented artists spent an entire day making sneaker fans smile, as they took requests and added funky names, logos and even hashtags on various sneakers. 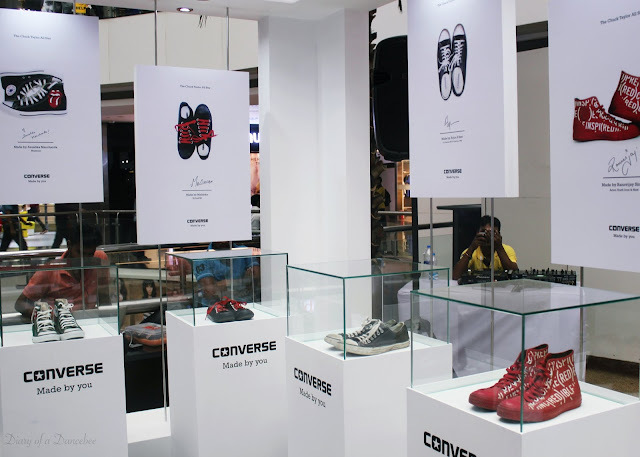 The exhibition was a treat for sneaker lovers, as various glass boxes housed favourite chucks of various known personalities, along with their autographed portrait, that proudly showed off their revamped artified sneakers. The one that really caught my attention was a pair of green chucks, owned by singer Anushka Manchanda. She got the legendary Rolling Stones logo designed on her chucks, and the pair looked absolutely quirky! After viewing the exhibition, it was time for me to customise my pair of chucks. I picked up a pair of brown sneakers (my first choice was a pair of bright red sneakers, but such was the demand for chucks, that all the colour were out of stock and there was just one pair left in my size). Nevertheless, the colour looked good and perfect to go with a variety of apparel that I own. I was keen on getting my blog logo done, but due to huge demand and shortage of time, the artists politely asked if they can do anything else that relates to dance. 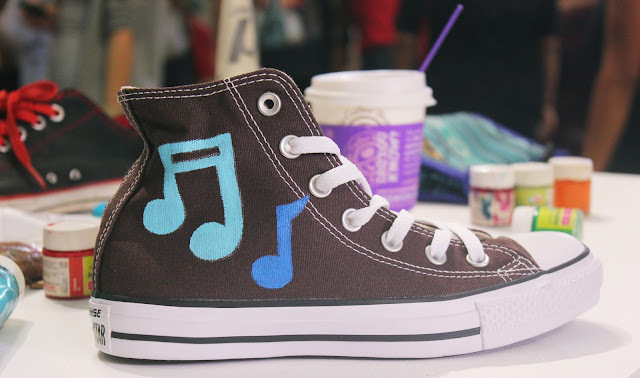 Within minutes, I knew that I wanted a musical note on my chucks. After all, music is what keeps me sane all the time, and that's what moves my happy feet too. While one shoe got the musical notes, I got something different done on the other one. Take a look to find out what that design looks like. And voila! 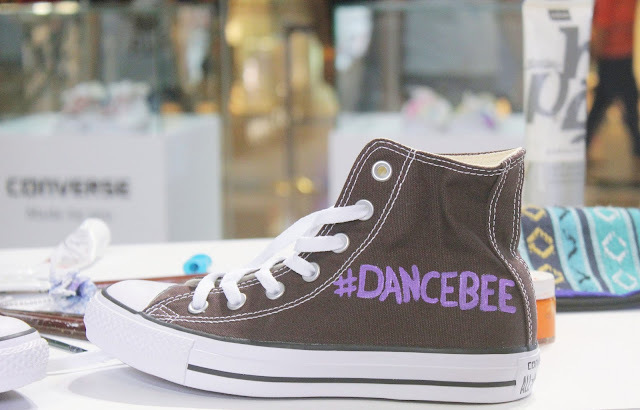 My uber cool, customised pair of chucks were ready in less than 15 minutes. It's perfect to wear with a athleisure style dress and even denim shorts. There is a lot that you can do with a pair of funky sneakers! Team Dancebee and I are humbled to be a part of this landmark global campaign - Made By You - that was launched in March earlier this year. 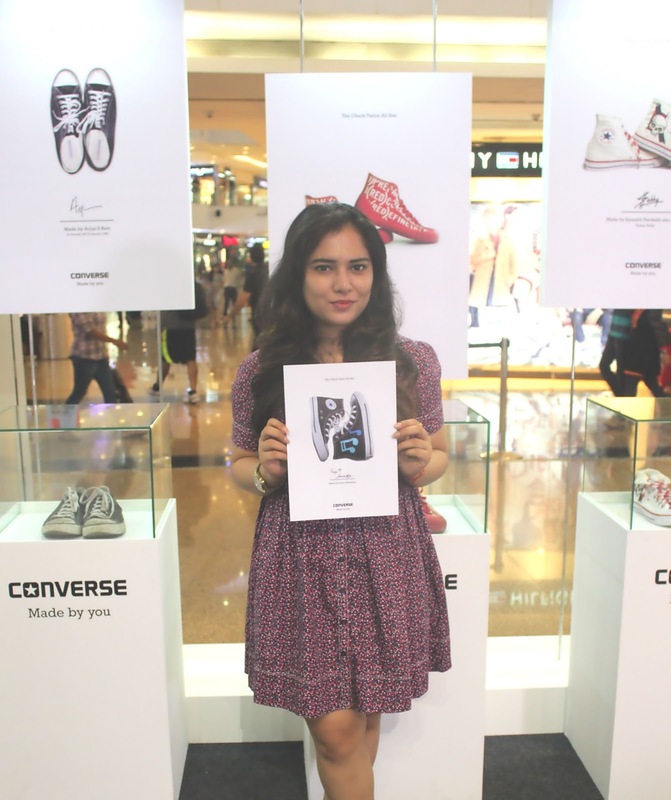 It aims at celebrating the fans of Converse, who have been successfully expressing themselves through their pair of Chucks since more than 100 years. Each customised sneaker and portrait tell a unique story. 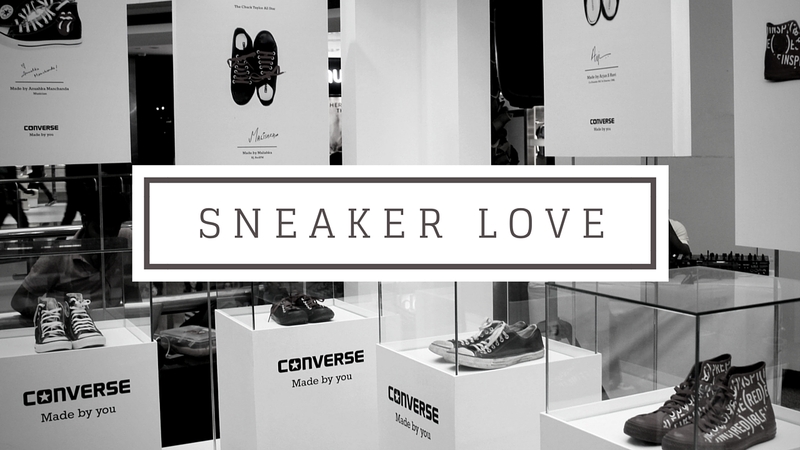 And it's incredible how Converse has given each fan the power to express themselves through a pair of sneakers. What do you have to say about the campaign?